If I don't know the location of roosts would afternoon hunting likely prove more effective? Id imagine during the afternoon id have more luck just sitting and calling as opposed to moving and calling as the turkeys are less likely to gobble back, so id spook them by moving. Is this correct and in this situation would I benefit from a louder call such as a box call? I have killed some good birds by running and gunning in the afternoon. Just always glass the area ahead before you move. Once the hens break away from him in the afternoon, he will gobble. As for the calls, if you can get high on a ridge, I recommend using a box call for volume. I also use my glass pot call allot when running and gunning. great. what are the books called? A lot of people miss the rocket scientist part. I ain't got nothing down. I just drive fast and erratically on backroads. When running and gunning I assume you just miss/spook the turkey if he comes in quietly? I don't run and gun. The only time I am moving quickly is if I really have to beat a bird to a location. Typically it is a lot of sneaking and listening. I will cold call once in a while but slow and steady wins with turkeys. I am pretty aggressive on turkeys. That's just how I like to hunt them. However there is controlled aggressiveness and then there is uncontrolled. Small pieces of property are not really my deal for that reason. Believe me when I say that we stir up far more animals than we see when moving around at a normal walking pace. I would bet you have spooked far more turkeys than you think you have and they are probably just avoiding the area. If I were you I would find some fresh areas to hunt. I am blessed to have thousands of acres of both public and hunting club land to hunt. I never hunt the same areas repeatedly and keep a few "good" spots alone until the timing of the breeding season is right. Usually that results in a dead Turkey. All the areas I hunt get a lot of pressure but by keeping things fresh (at least for me) i keep a little bit of my edge while hunting instead of falling into a boring routine. So to sum it up. Scout constantly whenever you are in the woods. Don't overhunt one spot and always have backup areas. Pay attention and keep mental notes of what is going on in the area and apply it to future hunts. Eventually you will start to figure things out and things will start falling into place. Good luck. For me, running and gunning is how I hunt when nothing seems to be happening. I usually do it when hunting large parcels of land. I am sure I may have missed some but if so, then so be it because I am looking for one that wants to play the game. Keep in mind, when I say running and gunning, it is controlled. I glass ahead if possible and never move more than 100yards at a time before calling (sometimes I cluck and purr when moving). When moving, I am going slow, not fast. It's not like I am just crashing through the woods but have seen hunters that do...lol. Tomstopper, on average how many miles would you cover in a run and gun situation hunting all day? Not sure, but I have walked all day. When I run an gun, I normally will walk and call through an area and then on the way back, try to go through the same area and call again. You might have missed some birds but maybe not. I look at it this way, I would rather be covering ground and trying to find one than just sitting in an area and hoping one will hear my calls. 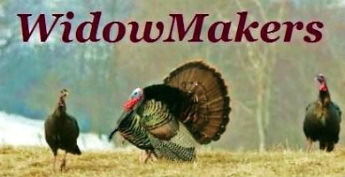 About how many hours are you hunting per turkey harvested? Not sure of a numerical value. It all depends on population, time of day, location, weather etc. There have been times when I have killed them early and times I have killed them late. Just not sure how many hours. No, I do not think you have burned this spot. What I would do is - wait, listen, they will come around. Do not call. Listen. Need to explore other land anyway. Maybe not have burned it out but never know what you are going to find around the next bend. Do you guys have any tips/advice on locating a turkeys roosting site by scouting out the land. Ive walked a long ways this turkey season and haven't found a single one, to my knowledge, which is frustrating. I hunt a 200 acre farm that I know very very well. I'm the only person who hunts it. Even I have figure out that I can't run and gun that property b because I will spook birds. Some days I can hear them on the roost and somedays they don't gobble at all. Some days they roost on the property and some days they don't. Scouting pays off in a big big way. I've got 4 trail cams set up on the property and I try to drive my vehicle to them to pull/change cards and not walk up to them where I can be seen. Most farm birds are used to vehicles being driven around. FWIW, I kill most of my birds either off the roost or late morning. If I can hear them early I can normally more on them before daylight. If I don't hear any gobbling I go set in a ground blind and put a decoy out in a field edge. PS. Even with trail cams some days they are there and some days they aren't. I think weather changes a lot of their movement patterns and it for sure changes how much they gobble. PS. My biggest thing is I don't over call. If I'm working a bird on the ground and he answers me two or three times I know he knows exactly where I am and he will most likely show up into the decoy spread. If he gives me only one gobble and that's it no matter what I do he most likely is with hens.